The beloved nursery rhyme, also known as The Spider Song , was first published in Camp and Camino in Northern California (1910) with "blooming, bloody" instead of the more pleasant, "itsy bitsy" version. Add the finger play motions as you sing to make it even more fun, and encourage fine motor skills. Featured in our Pre-K Wordplay! to inspire beginner readers. For another motion-song, enjoy Pumpkins in the Cornfield. 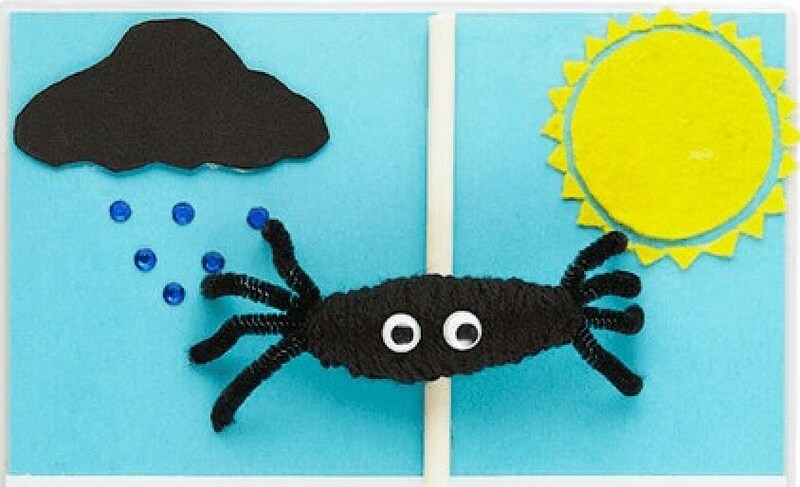 Add The Itsy Bitsy Spider to your own personal library.